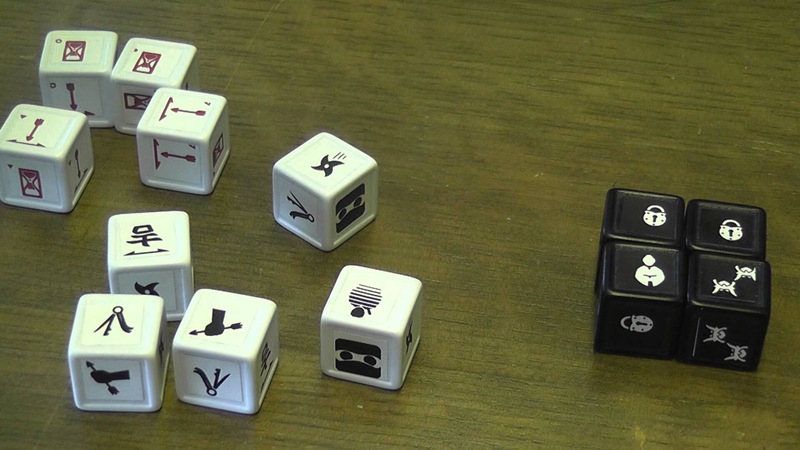 Ninja dice is like a Zombie Dice plus or maybe Art of War. It’s a simple little Yahtzee style game with neat components and if you got the Kickstarter a number of extra optional layers. The theme is lovely. Players take it in turns to burgle a house. To do this another player rolls a set of house dice which provide a challenge in the shape of guards, locks and citizens. 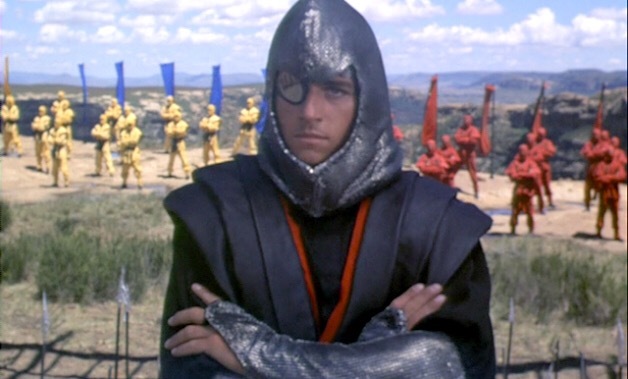 The active ninja must now roll their skill dice and get lock picks (overcome locks), shuriken (take out guards or citizens), sneak (slip by guards and citizens in a more honorable way), catch arrows ,wildcard and a multiplier. It’s simple stuff. At the same time the other ninjas throw their counter dice which will fire coin stealing arrows (direction is important) and possibly egg timers. 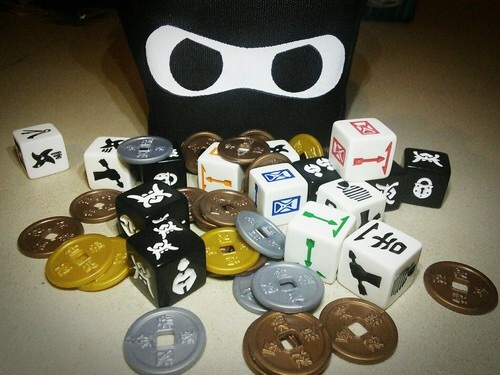 The active ninja can reroll chosen dice or cut their loses and quit the building taking a minor reward. If the opposing ninjas roll enough egg timers it’s mission over and the ninja gets NOTHING as if he stole fizzing lifting drinks. So it’s a push your luck game. If the active ninja beats the house they score some bonus money and the ninja tags out to the next player. Rinse and repeat for each player. Once a full round of this happens an extra dice is added to the house roll making burglary a more daunting prospect. Three rounds of this and it’s count your money and richest ninja wins. Is it any good? Well it’s not bad. It’s pretty. It’s pure filler and kids will like it. It’s quick. It’s simple. The bag it comes in is magnificent. The extras add a little bit more complexity and diversity. It’s cheap.